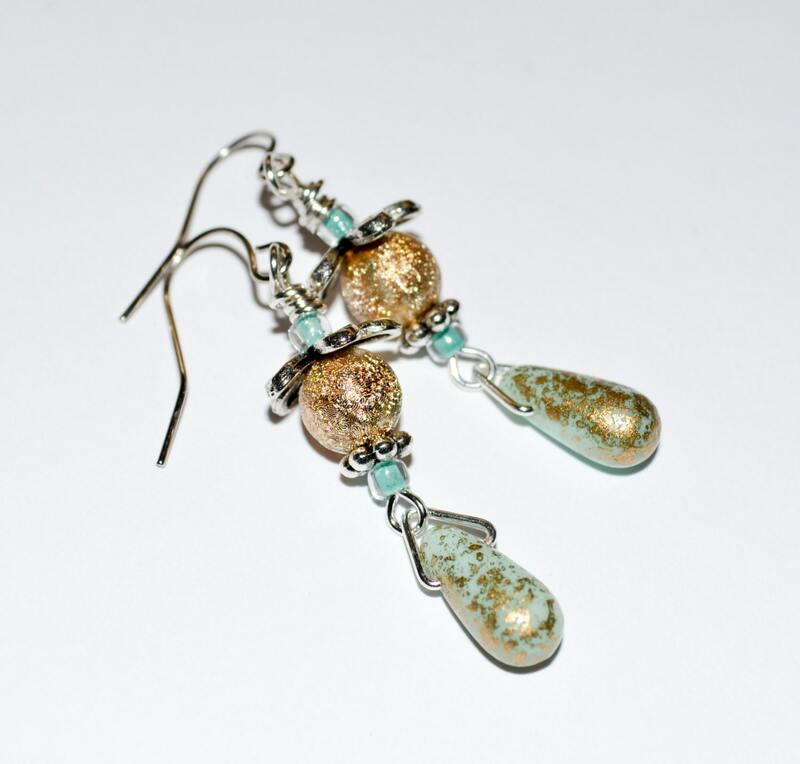 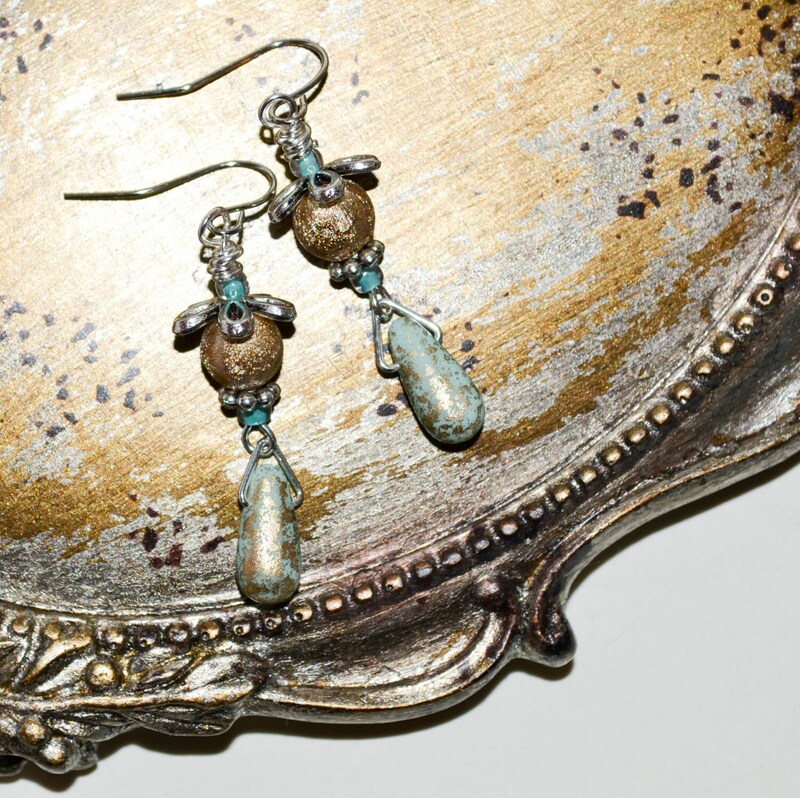 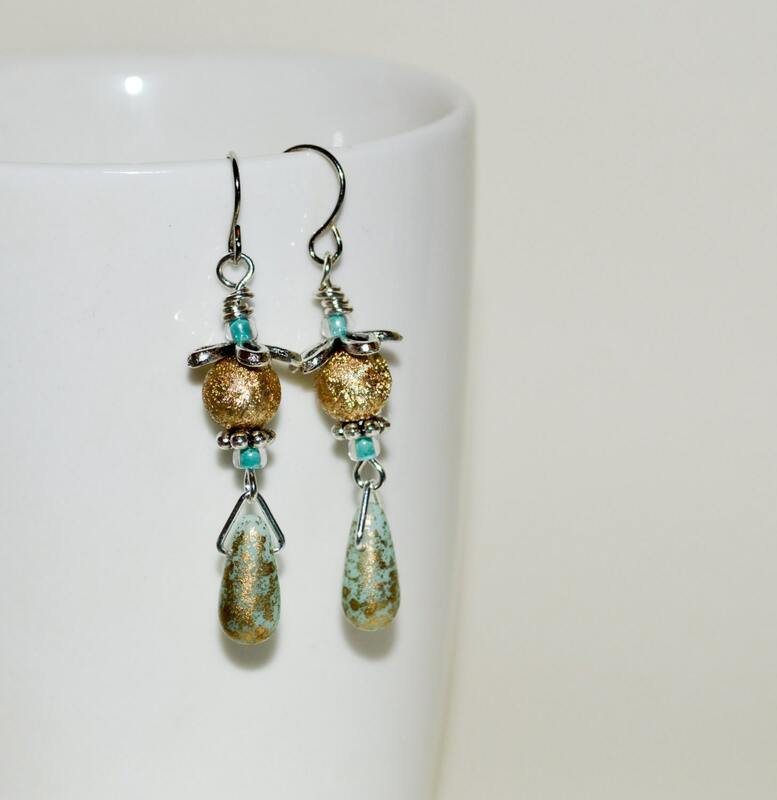 These are gorgeous drop earrings - Czech glass teardrop beads in 'golden moss' (a delicate mint green dusted with a gold sparkle) - topped with gold dazzle beads and aqua glass seed beads, accented with silver plated daisies. 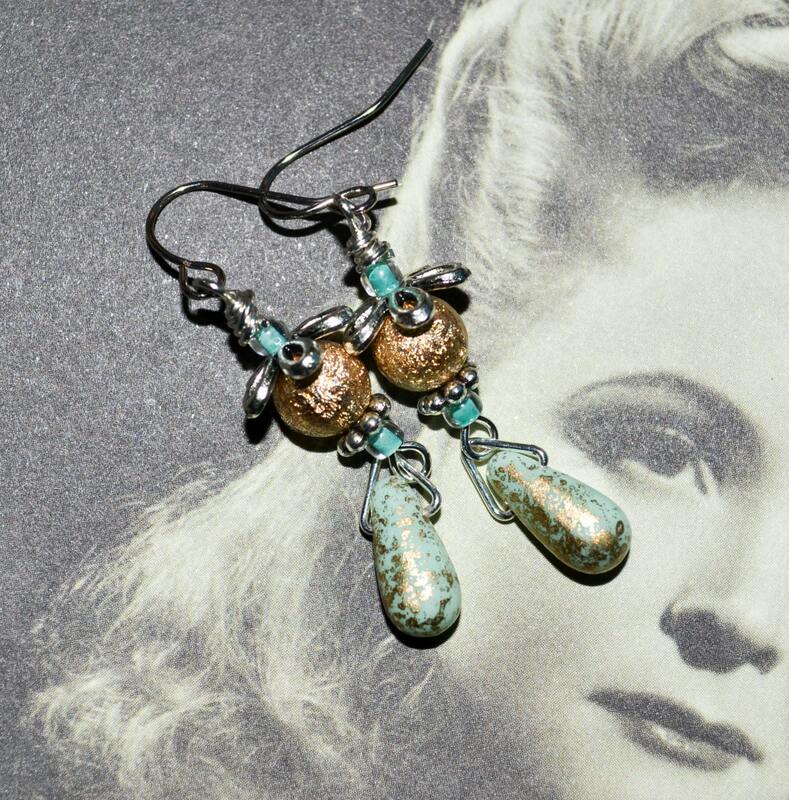 They simply hang from silver plated ear wires. 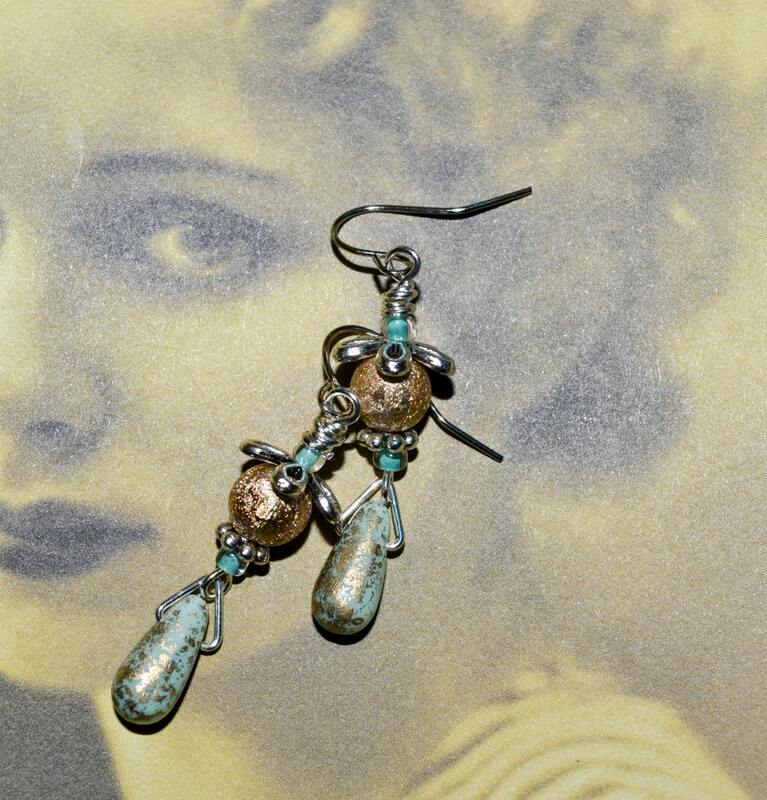 The drop from the top of the ear wire is just over 1.75"/4.5cm.